With endless white beaches and a pleasant climate year-round, Mexico is a favorite vacation destination. Whether you’re visiting the interior of the country or one of the World Class beach resorts, you’ll be able to indulge in some delicious Mexican cuisine and see the sights that make Mexico famous, like the many Mayan and Aztec pyramids and ruins. Don’t miss Mexico City – the bustling, vibrant capital city. We’ve put together a quick infographic will all the info you need to plan a trip to Mexico. You can download the guide and print it if you want. For the best weather and the lowest crowds, April-May and late October-November is best. December to April and June-August at the beach resorts. It’s also hot and rainy in summer. Hurricane season extends from September to mid-October, along the coast. The megalopolis that is Mexico City has so much to offer, from a storied history to a thriving culinary scene. 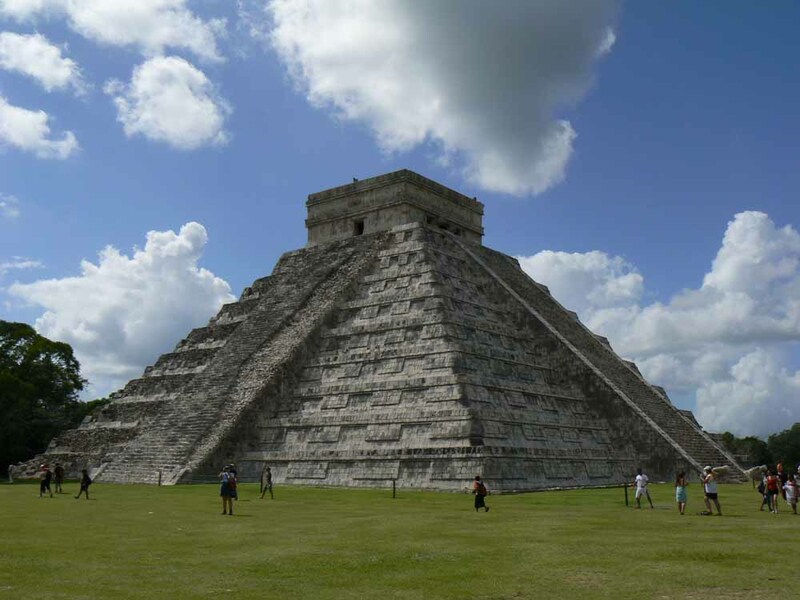 Mexico’s ancient civilizations have left an incredible legacy all throughout the country to explore and admire. Mexico is well-known for its incredible beaches, from Los Cabos to Cancun and lesser-known spots like Puerto Escondido. Guadalupe is a city and region in northern Mexico, where you’ll find the largest wine region of Mexico. Negotiate the price of a taxi ride before accepting, if there’s no meter. Don’t order your tequila with salt and lime. Decidedly unlocal! Bartering is expected at markets, but don’t undervalue the goods. Don’t accept tour offers at the airport. You can find better deals elsewhere. If you’re not staying in a resort that filters water, beware of drinking the water (including ice) and eating unpeeled vegetables. Leave a copy of your passport with a relative or friend in the U.S.
Avoid wearing expensive-looking jewelry or watches.